After playing with them in the store, I can say they’re pretty cool — mostly. The machete is nice, but it is so soft at the end that I don’t think it will hold up. I know it has to be soft for when you stab your opponent, but it seems a bit flimsy. 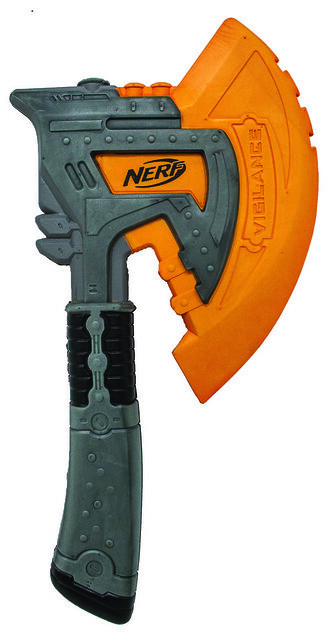 The axe is definitely very cool looking, and it’s my favorite out of the two. These are some bada** looking melee weapons! I think the Vigilance will be a huge hit, it looks amazing. Wish that was around when I was a kid, my siblings would have hated me.